Ashton Gerard/MDN Minot High senior Rory Taney returns the ball during a high school singles match at the Minot Round Robin Saturday at Hammond Park. 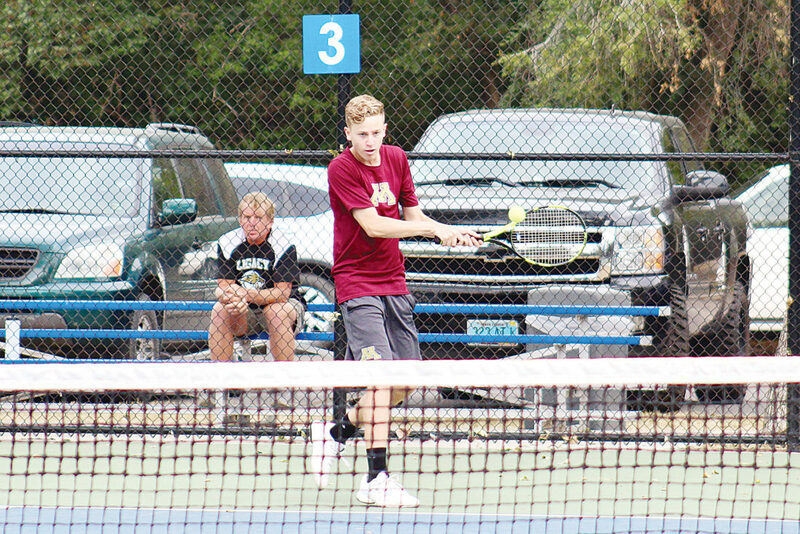 Minot High boys tennis has earned their second tournament victory of the year with an impressive showing at the Minot Round Robin Saturday at Hammond Park. Minot High won with 26 points, followed by Legacy (21), Century (17), Jamestown and Williston (15 each), Mandan (7) and Bismarck High (4). The Magi won three divisions and finished with two runner-up places. Senior Mason Diehl went 6-0 at No. 1 singles to win the division. 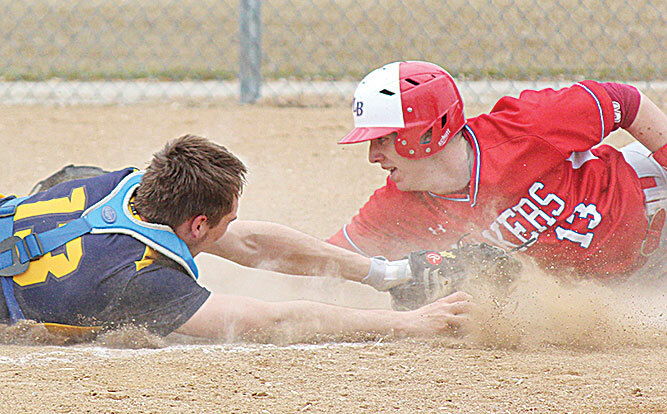 His reign included a 7-5 win over Mason Pitcher of Bismarck Century who had defeated him previously on Friday. “Mason showed today he is very capable of playing with the best players in the region with an undefeated day at 1 singles,” Minot High head coach Scott DeLorme said. Fellow senior Rory Taney brought up the division win at No. 2 singles with a perfect 6-0. This included a 6-1 win over Isaac Miming of Jamestown who had defeated Taney the day before. Freshman Eric Wentz completed the perfect singles day, going 6-0 at No. 3. “Eric is one of our young kids who we think has a chance to be pretty good and he was able to show some of that today,” DeLorme said. Doubles pair Peyton Huss and Zach Diehl for the Magi went 4-2 at No. 1 doubles to finish in second place. DeLorme noticed improvement in the pair from Friday to Saturday which was encouraging for the team. Ridge Jaeger and Jack Wolsky rounded out the doubles teams with a second place finish at No. 2. While noticing improvement over the first two days of competitive play, DeLorme and the coaching staff also noticed areas to work on in the upcoming week before conference play officially begins. 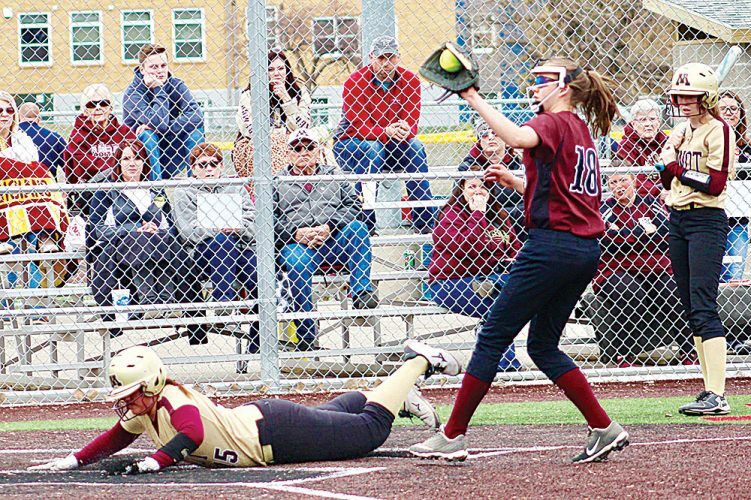 Minot High will be back on the courts Tuesday at Hammond Park for a non-conference match up against Williston High. The action begins at 4 p.m.